Vijay Sethupathi has reached a significant milestone in his career. Vijay Sethupathi, who is known for his versatility and unconventional approach in choosing themes, has reached a significant milestone in his career with his upcoming film Seethakathi, as it marks the 25th movie in his career. 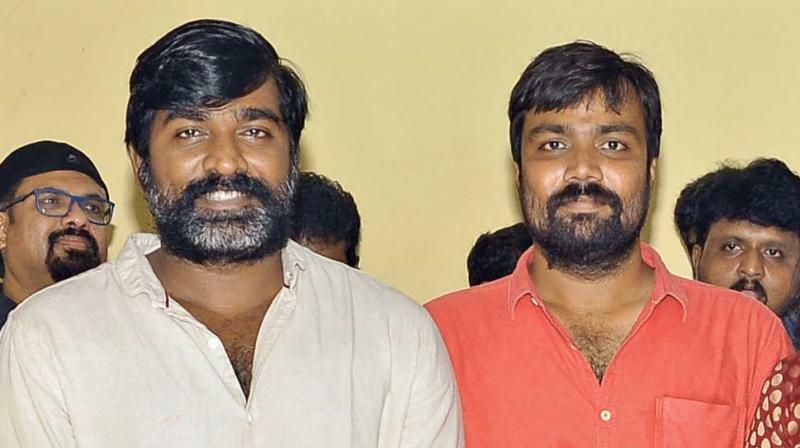 Helming Sethupathi’s milestone movie is Balaji Tharaneetharan, who earlier gave the blockbuster movie Naduvula Konjam Pakkattha Kaanom with the former. Talking to DC, Tharaneetharan spills the beans on Vijay’s character and the interesting aspects of the movie. “Sethupathi plays the role of ‘Ayya’ and the title Seethakaathi has a significant relevance to the script. Ayya is a theatre artiste in the film and the story is about an art and the life of a stage performer. There are no romantic interludes to his character and hence, Sethupathi doesn’t have a pair and the film doesn’t have a heroine,” he reveals. He quickly adds, “Since the story is about an actor, many heroines like Ramya Nambeesan and others appear on the shooting spot scenes. Just because it depicts an art form, don’t imagine it is an artsy film. The narration is interlaced with lot of humour and feel-good scenes like my earlier film NKPK.” While national award-winning actress Archana portrays a crucial role, veteran actor/director Mouli has been roped in for a key character too.